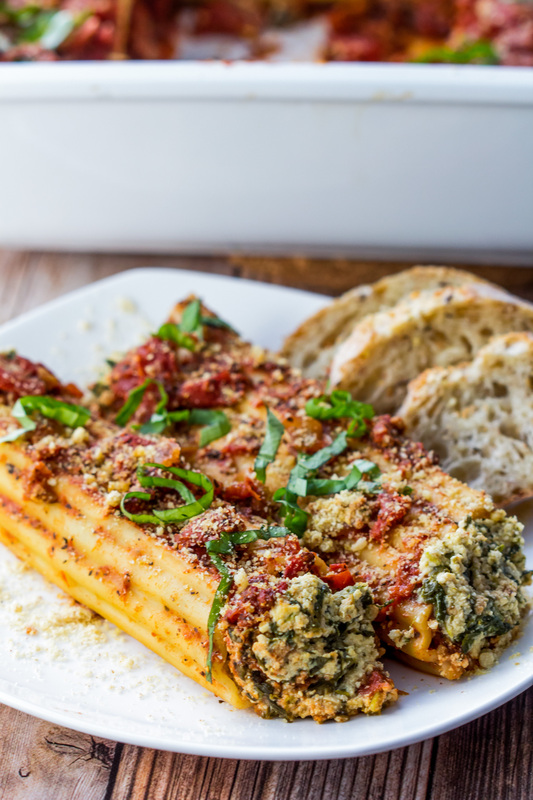 Vegan Cannelloni… Cannelloni pasta stuffed with a cheesy and savory dairy-free Ricotta, covered in homemade marinara sauce and baked with parmesan until crispy. How have YOU been? I was soo happy that Winter was finally gone and done with but then this past week it came back with a vengeance! Snow, wind, ice, and freezing cold temperatures. 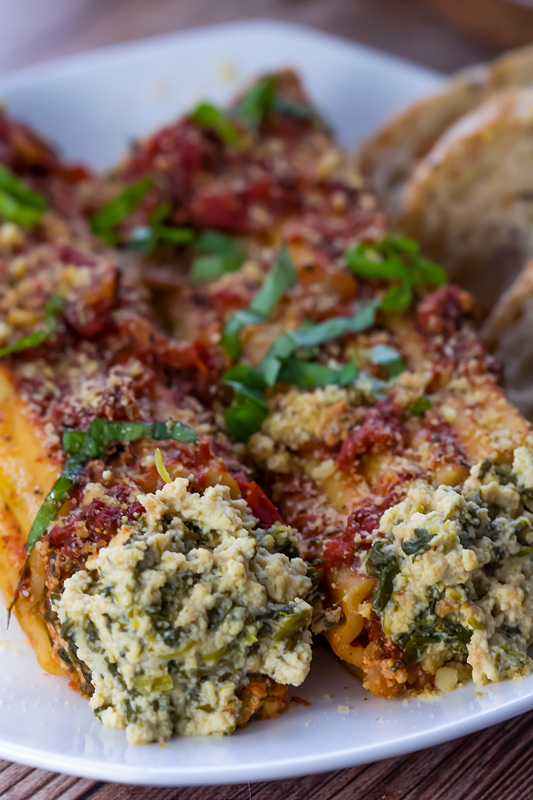 And with the cold comes a NEEEEEED for comfort food like Vegan Cannelloni… in other words pasta stuffed with cheese, baked and full of so much goodness it can even beat the cold in March! 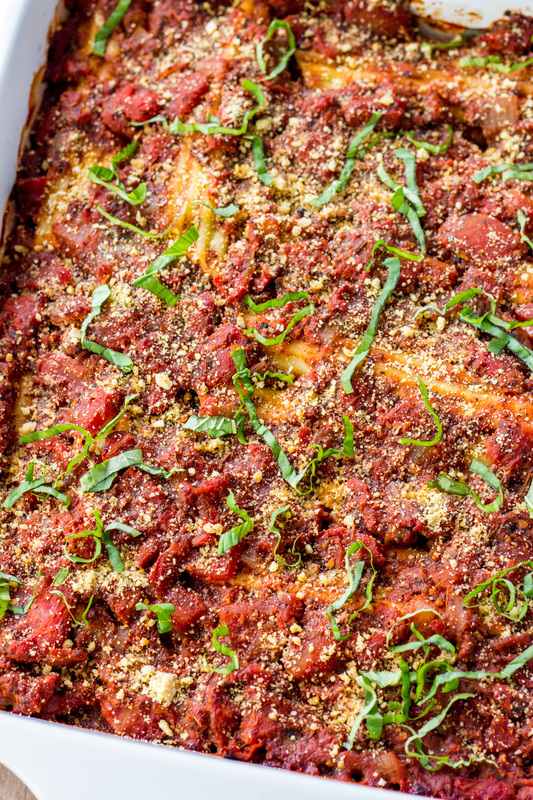 This Vegan Cannelloni is a fun recipe to make. Once you make the homemade Marinara Sauce and the Ricotta cheese, the best part is stuffing the Cannelloni with the homemade Ricotta. I find the best way to do this is to take a big scoop of Ricotta cheese on a spoon and carefully stuff the Cannelloni until it is filled the entire way through. This can get a bit messay but that’s half the fun. Add a few more scoops of Marinara on top. Top with Vegan Parmesan and bake until crisppppyyyyy. If you make this Vegan Cannelloni at home, snap a photo and tag me #CearasKitchen on Instagram or leave your feedback in the comments below. I love hearing from you! 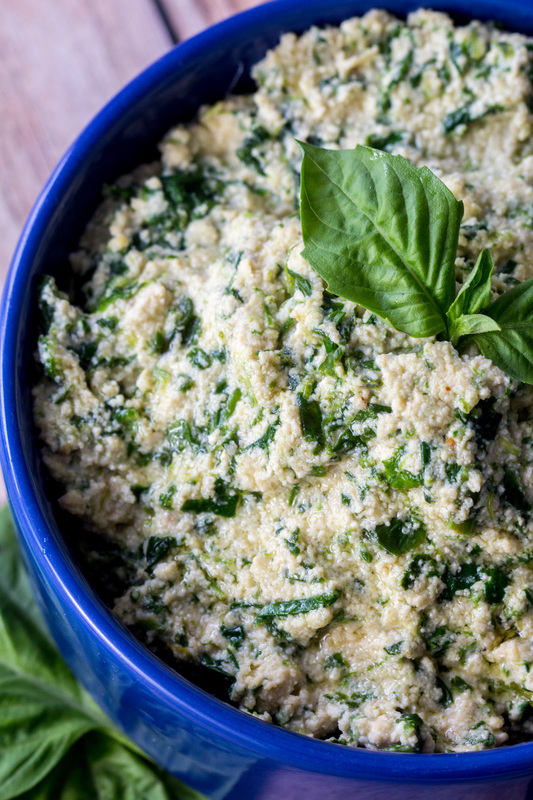 Enjoy with more Parm, fresh basil, and fresh bread if you oh-so please. Enjoy! Cannelloni pasta stuffed with a cheesy and savory dairy-free ricotta, covered in homemade marinara sauce and baked with parmesan until crispy. Prepare the marinara sauce first so it simmers on the stove while you are cooking your cannelloni noodles and preparing the ricotta cheese. Prepare the cashews by soaking them overnight in cold water or for 15 minutes in boiling water. Defrost frozen spinach in the microwave. Squeeze out exceed liquid and measure out 3/4 cup of spinach. Set aside to use in the ricotta cheese. In a deep pan, saute onion and garlic with balsamic vinegar and herbes de provence on medium-high heat until the onions are soft and lightly-sauteed. Add the canned tomatoes. Simmer on low for 30 minutes while preparing the cannelloni. Add sea salt and pepper to taste. In a large pot of boiling water, cook your cannelloni noodles until al dente. Make sure to not cook them until they are too soft, this will make them easier to stuff. Drain and rinse with cold water. Saute onions and garlic over medium heat until soft with a splash of water. Add the onions and garlic to a [url href=”http://amzn.to/2nDy460″ target=”_blank” rel=”nofollow”]high-speed blender[/url] with the soaked cashews, nutmeg, bouillon, lemon juice, apple cider vinegar, and nutritional yeast. Blend until creamy. And the crumbled tofu to the same pan where you were sautéeing the onions and garlic. Saute for a couple minutes (this will soften the flavor of the tofu a bit). Add the tofu to blender and pulse two to three times until you get a chunky ricotta texture (see photo). Stir in the defrosted spinach. Taste test and add salt and pepper to taste. Add two scoops of the marinara sauce to a casserole dish. 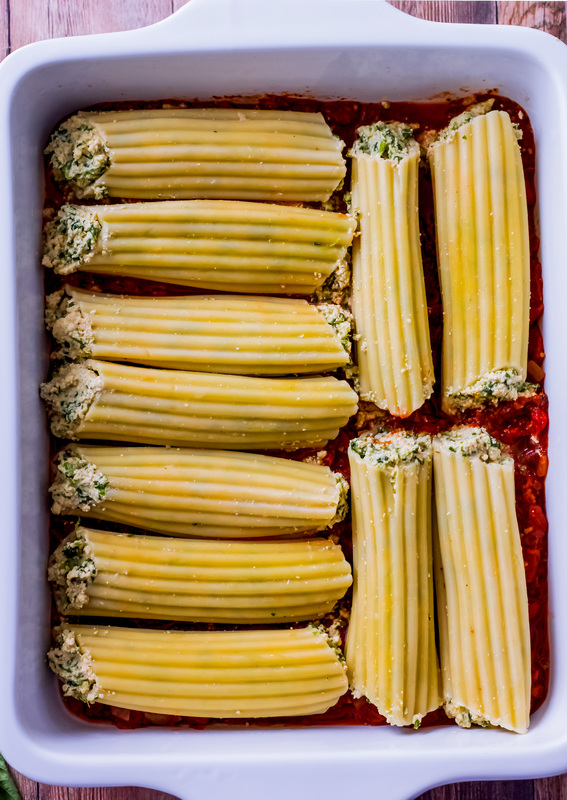 With a spoon, stuff the Ricotta cheese into the cooked Cannelloni until it is filled the entire way through. Place the stuffed Cannelloni in the pan and repeat until all the cannelloni are stuffed. Pour the rest of the Marinara sauce on top of the stuffed cannelloni. Sprinkle with Parmesan Cheese. Bake for 30 to 35 minutes until the top is crispy and the tomato sauce is bubbling at the sides. Garnish more parmesan and fresh basil. Shannon, If I may suggest. Press Ctrl+A to select the whole text. ; In Word. On the Home tab, in the Font group, click Clear All Formatting. In Open Office or Libre Office . 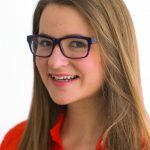 Choose Format – Clear Direct Formatting. This should eliminate your problem of grey text. Thanks to the Thermomix EASY PEASY and so YUMMY! Even my NON-Vegan child had seconds! Made this tonight and it turned out great! It was kind of a long process but definitely worth it. I will be making it again! Can anyone recommend a substitute for the tofu in this recipe? Recipe sounds so good, but can’t eat tofu. Did you use soft or firm tofu? Making this for a Christmas Eve dish! Thanks! I used firm and it turned out great. Even the non-vegans liked it. Love the Recipes! We cant eat soy…is there a substitute that you can recommend? Made this for dinner last night and had a friend over that has an aversion to anything “vegan” ….. This was a winner he did not know it was vegan, after he had eaten he said how good it was, then I told him it was vegan, well he was very surprised. My husband is great, he tries anything I cook vegan and he loved it too. I thought it was delicious, I must admit I wasn’t sure about the tofu ricotta but it’s a winner. So the consensus from everyone is, I have to cook this again. Thanks for such a great recipe. That’s amazing, Ruth!! I am so happy you, your friend, and hubby loved the cannelloni!! Thank you for your kind words! Hello, this looks so wonderful, and I was excited to try to make the vegan ricotta, but unfortunately it calls for tofu. I am allergic to soy and don’t dare use tofu since it too is soy. Do you have any suggestion alternatives that I might replace it with? When I print in black/white your font is very light grey and the link text is almost unreadable. Is there a setting I can choose to print pure black text? It’s likely your printer is set for “Ink Saver.” From your computer, click “Properties” or “Print Setup,” then fink the “Ink Saver” button and turn it off. Sorry, I’m still figuring out how to do this on my phone! The colors in this are amazing! Cannot wait to try! 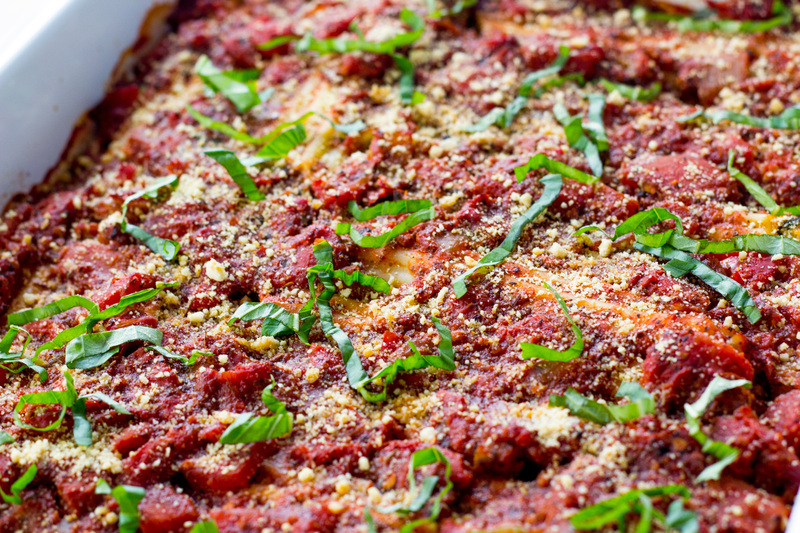 I love cannelloni…haven’t had those in so long! this recipe sounds delicious! This looks amazing! You can’t go wrong with a cheesy pasta recipe. Ceara, this looks so delicious! I can’t wait to try the ricotta! I bet it’s perfect in so many Italian dishes. That looks mouthwateringly good! I am drooling all over my keyboard here. Can you recommend a tofu substitute?